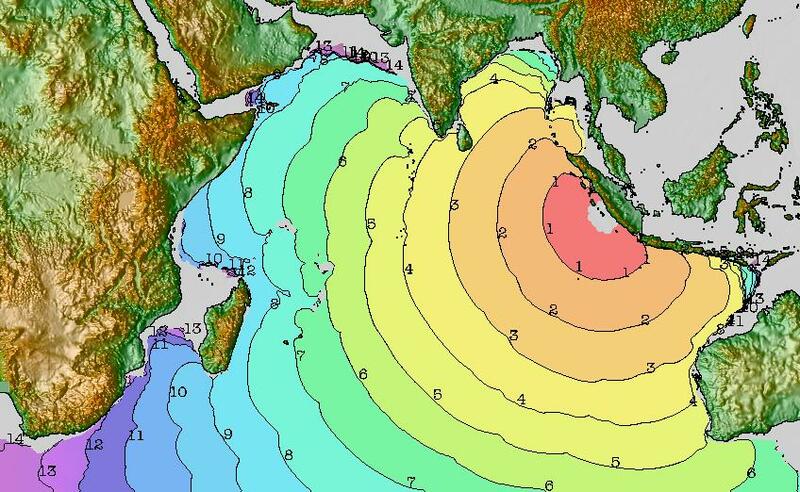 Portal for Regional Estimation of Coastal tsunami Impacts using Sea-level and Earthquake information (PRECISE) was developed to determine arrival time, tsunami amplitudes, and inundation. 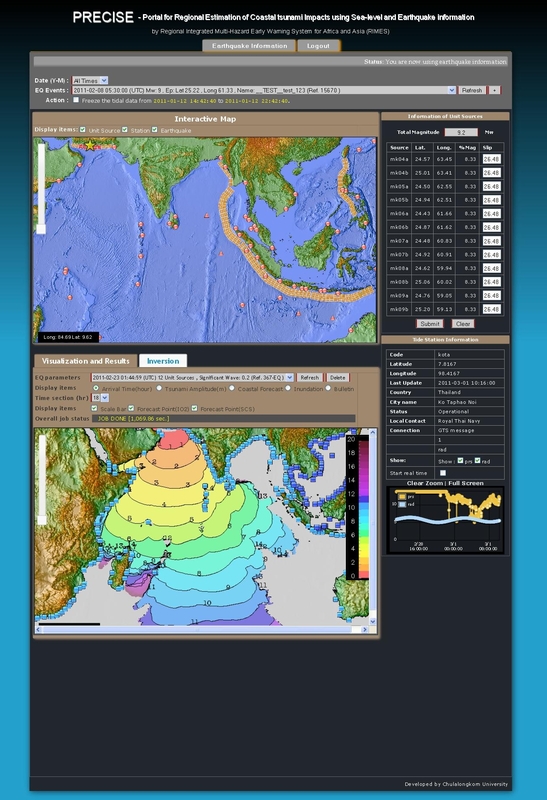 PRECISE uses preliminary earthquake information; magnitude and epicenter location and the sea-level information obtained from DART buoys and tidal gauges. 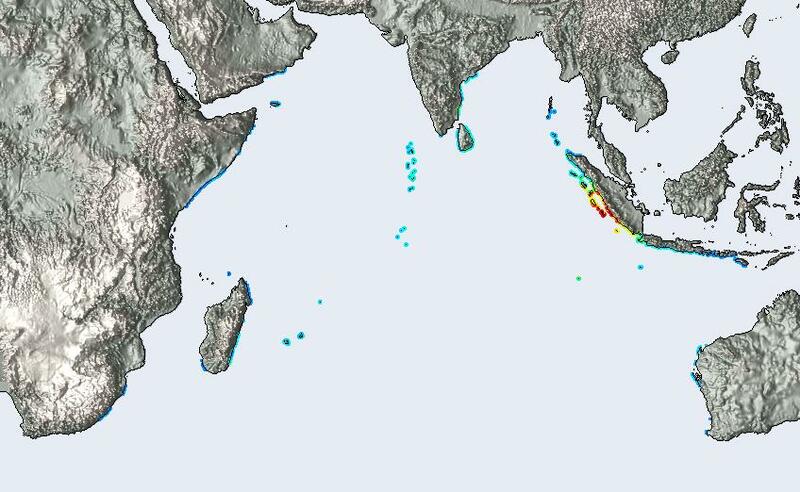 A unit-source database has been developed for the Sunda (Western Philippines) and Makran (Central Asia Region) subduction zones as they can generate destructive tsunamis in the Indian Ocean and the South China Sea. 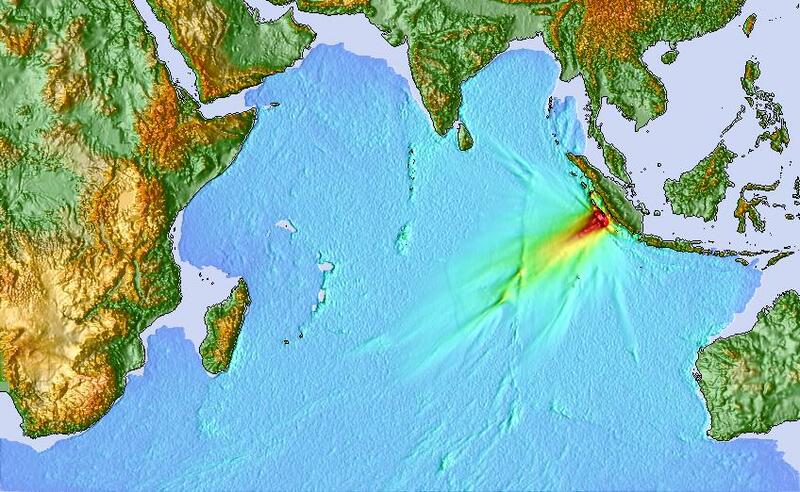 Since DART buoys and tidal gauges have been installed and upgraded after the 2004 Indian Ocean Tsunami, near real-time data from the sea-level sensors can be used to revise fault parameters of an earthquake by using inverse analysis. 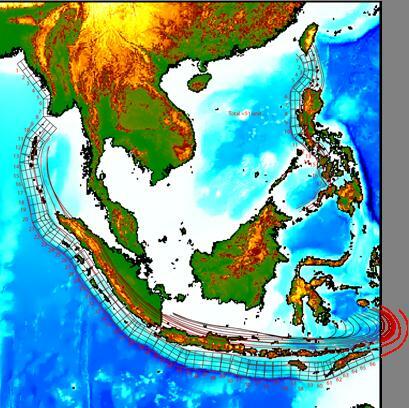 The inundation forecast is performed using the nonlinear TUNAMI model at some key coastal sites. Results from simulation are compiled in a bulletin format to distribute to countries.